Most of our orders are processed within 1 working day. Orders received on Saturdays, Sundays and Public holidays will be processed on the following business day. We aim to deliver your items as soon as possible but delivery times are subject to change and are estimates only. We ship orders around NZ-wide with CourierPost. Allow 1-3 working days to cities and urban centres and up to an additional 2-3 working days for rural deliveries. Some larger items will be sent directly from suppliers. Conveniently CourierPost also delivers to PO Box addresses. Products featuring an “Available for International Delivery” icon are eligible for tracked international courier to Australia, Canada, USA , UK and Most Pacific Islands with DHL Express. Allow 2 working days for delivery of international items. NZ Orders over $150 will be shipped FREE of charge, excluding overweight or oversize items as specified below. Free shipping is via tracked, signature required Courier. Untracked, PO Boxes & Physical addreses with mailboxes. Approx 3-10 working days. International orders may be liable for duties and taxes once your order arrives at customs in your specified country of shipping. Check with your local customs office to find out more about fees. Any charges must be paid by the person receiving the shipment. 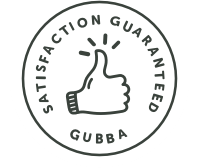 Gubba is not responsible for any handling fees, customs or duties that may be incurred on international orders. If you refuse to pay customs charges and the order is returned to us we will deduct the cost of having the goods returned to us from your original order and issue you a refund/store credit for the remaining balance. What if my order has missing? Please make sure you supply us with your correct delivery address when placing an order. Gubba cannot accept responsibility for a missing shipment if the address provided is incorrect. If your order does not arrive within the expected delivery time frames above please contact us and we will lodge an enquiry with the shipping company. These enquiries can take some time so please make sure your address is correct and your parcel has a safe place for delivery. Unfortunately we are unable to cancel orders once they have been shipped. If you do wish to cancel your order, then please contact us as soon as possible at sales@gubba.co.nz or phone (+64) 09 915 9250. If you cancel your order before it is shipped, you will receive a full refund. All of our products have been thoroughly tested in the marketplace. If, however, you are not happy with any aspect of your purchase, you can return it within 30 days of the purchase date, no questions asked, provided it is unused and and undamaged and in the original packaging. May exclude sale or end of line items as clearly indicated at time of purchase. You will be responsible for paying any shipping costs for returning an item. Shipping costs are non-refundable. A further delivery charge will be required for sending out all exchanges. Refunds will normally be processed within seven (7) days and will be processed to the original payment method used. Everything we sell has a minimum 12 month warranty to cover manufacturing faults or defects, and some products offer longer warranties or lifetime guarantees. More details can be found on product pages, or contact us for more information. All purchases are covered under the Under the Consumer Guarantees Act 1993. We understand that it can be tricky to choose perfectly fitting shoes online. Because all feet are different, we are very happy to exchange sizes for you. Simply return the shoes in "as new" condition and let us know what size you would prefer. Please refer to the shoe sizing chart on the product web page of the shoes you have purchased for help with finding the right fit.